As president, my work schedule will be based upon the common good, communication and teamwork. The FCI must open up to new ideas in order to solve everyday problems and improve communication, the exchanging of ideas and the dissemination of information. We shall be strengthening our online presence, with a portal offering interactive information, which will be informative and kept up-to-date and it will set out to act as a reference source for breeders, vets, scientists, journalists and the general public. We shall be forging commercial alliances which will provide the organisation with new revenue streams, such as the sale of advertising space on www.fci.be, and other marketing methods. We need to entrust our main commissions with the task of presenting and publishing investigative, historical and social work with the aim of becoming a global reference centre, with educational and investigative information, and taking full advantage of our global reach. We need to continue expanding our horizons and encourage more members to join our organisation, and to do this I shall be identifying countries in which the love of dogs is developing so that we can offer them our help in improving their organisations and also in order to benefit their dogs. However, we must also strengthen and back up our current members when they experience problems and support them in the struggles they face in their own countries. We must promote the growth of canine activities in all countries and support educational initiatives. The FCI must look to the future beyond its worldwide presence, which means that we need to stimulate participation in our organisation by young people and young adults, which means that I shall be setting up a youth committee, which will be strictly in line with the aim of listening to and identifying any ideas, concerns and suggestions they may have which may be of benefit to the FCI. 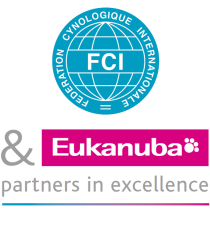 Our commitment to dogs is and will remain unshakable, which means that the FCI will be watching over the well-being of dogs around the whole world. It will often be a hard road, but at the same time it is a very promising one. I feel sure that I can guide the FCI towards a road to a brilliant future. Let’s do it together!